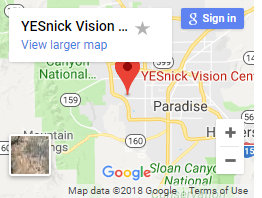 Welcome to the Vision Recovery Center, a Las Vegas nonprofit organization founded by Dr. David Yesnick and his wife, Sandy. Our unique eye care center provides top-notch and high-tech vision services to people who cannot afford the treatments they need in order to enjoy clear sight. These people are not blind but they suffer from reduced visual capabilities, and they require specialized care from a qualified Low Vision Optometrist. Sandy Yesnick, OTR/L SCLV is the only Low Vision Therapist in Nevada, and we are proud to invite you to benefit from her expert knowledge and experience. She dedicates boundless energy to change the lives of individuals with low vision – because everyone deserves to see. “Helping people who cannot afford Low Vision treatment is one of the most heartwarming experiences for me. 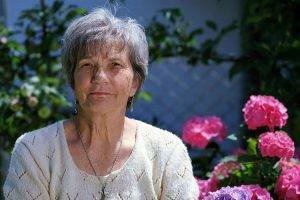 Through the Vision Recovery Center, we give people a chance to live a new life,” says Sandy. What are the effects of Low Vision? Low Vision can turn daily activities into an extreme challenge. Routine tasks that people have enjoyed their whole life, such as reading, watching TV, cooking, and driving, can become hard or impossible. Consequently, a loss of independence occurs – and Low Vision may then spiral into feelings of isolation and depression. If you or a loved one has reduced vision, our Low Vision optometrist understands how frustrating this can be. To restore independence and boost your quality of life, we will help you maximize your remaining eyesight. The primary cause of Low Vision is eye disease, such as macular degeneration, diabetic retinopathy, glaucoma, retinitis pigmentosa, and cataracts. These ocular diseases are largely linked to aging, which is why Low Vision is diagnosed most frequently in the elderly population. Other culprits may be brain injury or eye injury, and sometimes Low Vision is the result of family genetics. How common is Low Vision? Low Vision affects approximately 250 million people around the globe. Sadly, the World Health Organization (WHO) estimates that up to 90% of these people cannot benefit from Low Vision treatment due to financial constraints. Low Vision does not discriminate. Patients with this discouraging condition include children with vision conditions that make it hard to learn properly, adults afflicted with eye disease that robs them of independence, and veterans injured by war perils. The compassionate mission of our Vision Recovery Center is to fix this situation and enhance the eyesight of people with Low Vision in Las Vegas and all surrounding areas. What is Low Vision Treatment? In our Las Vegas Vision Recovery Center, we will design your Low Vision Treatment to address your individual needs. 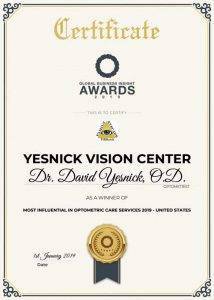 At the start of your consultation, Dr. Yesnick, our Low Vision optometrist, will perform a detailed, thorough eye exam.  Once we understand the extent of your eyesight, we will recommend the most suitable treatment. Treatment may consist of specialized magnifying glasses, medication, or possibly surgery. A range of Low Vision devices is available in the Las Vegas Vision Recovery Center, and we will match you with the best aid to help you see as clearly as possible. We are proud to grant the benefits of sharp sight to financially challenged kids and adults who cannot afford eye care.